This is the time of year that we Arts fans & participants all eagerly await...audition season! More specifically, it's choral ensemble audition season, with three local groups opening calls to available singers. There's truly something here for every age, so please check them out and good luck to all! Auditions are now being scheduled for the Delaware Valley Chorale’s 2010-2011 season. All voice parts are open. Repertoire for the 2010-2011 season will include Ein deutsches Requiem by Johannes Brahms, Requiem by John Rutter, Old American Songs by Aaron Copland, And Jacob Dreamed by Josh Groffman, The Last Words of David by Randall Thompson, and Spirituals by H. T. Burleigh. Auditioners are asked to either prepare a solo which displays vocal quality and range, or to prepare a passage from one of the choral selections from next year’s repertoire. Excerpts from the 2010-2011 repertoire can be sent by e-mail in PDF format if requested. Singers will also be asked to sight read a simple passage of music (diatonic within a modest range). Please bring 2 copies of your audition material. Auditions are scheduled at The Episcopal Church of Saints Andrew and Matthew Sunday, August 22, 3:00-5:00 p.m.; Monday, August 23, 7:00-9:00 p.m.; and Sunday, September 19, 3:00-5:00 p.m. Additional dates/times available as needed. To schedule an audition, contact Barbara Kidd at 302.234.4866 or bmksop@aol.com. 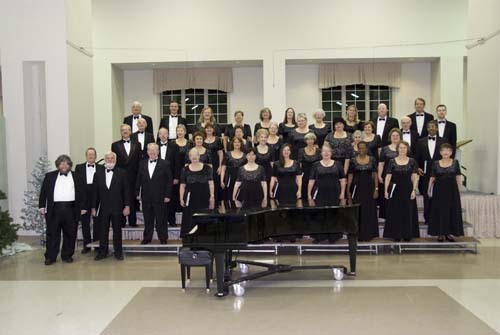 The New Ark Chorale announces auditions for the 2010-2011 concert season. There are openings in all sections. The ensemble rehearses on Tuesday evenings and presents 6-7 concerts each season. Auditions will consist of singing a solo selection and the opportunity to demonstrate sight-reading skills. Contact Music Director Dr. Michael Larkin at 302.475.5658 or email mlarksing@aol.com to arrange an audition time. WCC, known as the Singing Ambassadors of Wilmington, will be auditioning male & female singers ages 8 to 18. This chorus is tuition-free for all members and has ensembles for singers from beginnger to advanced ability. Audition dates are Saturday, September 11; Sunday, September 12 & Wednesday, September 15 at First & Central Presbyterian Church, 1101 N. Market Street in Wilmington. Audition appointments can be made by calling 302.762.3637. Visit their website to download audition materials.